Women's Contemporary Silver Necklace : LOVE2HAVE in the UK! A women's contemporary silver necklace. 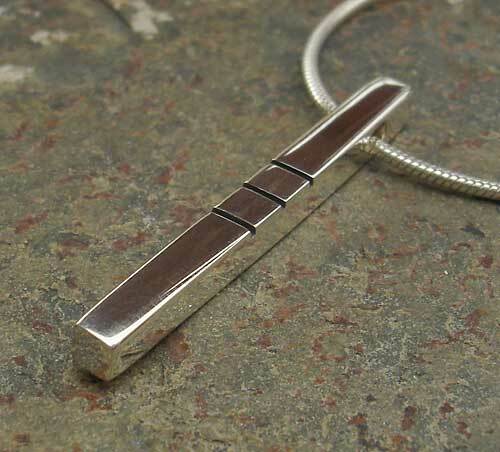 This ladies silver necklace has a very simplistic clean-cut design. In fact, we would go as far as to say that it has a High Street contemporary styling as it is quite understated which is what many of our customers require, nothing ornate or intricate, just high-quality modern styling. The silver bar is a long squared-off wire, which measures approximately 30mm in length and is 3mm square. 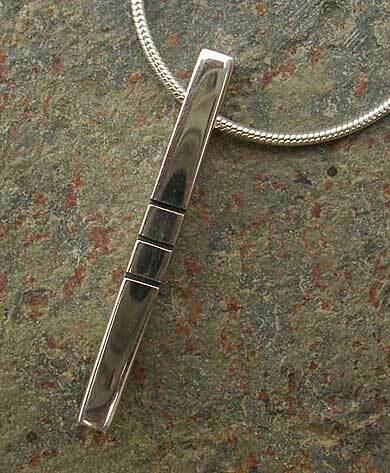 It features three recessed black etched lines that run horizontally in the middle of the silver bar. The attention to quality comes demonstrated with the smoothed off corners and edges, and the silver comes in a polished finish. 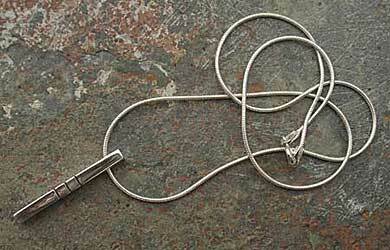 Finally, the pendant comes with a 16-inch snake chain, but other lengths are available on request.